1. What is a fresh dry skippy? B. A recently dried up plot of land where rednecks go to hunt. Or drink the moonshine. 2. Is a jar of Skippy peanut butter* smooth? 3. Is a fresh jar of Skippy smooth? 4. Have you ever been laid off at work? 5. What did Bruno Mars post on Instagram? If you answered A to every question, you’re a winner! It’s definitely “fresh jar of Skippy.” Right? Feel free to present your arguments in the comment section below. Unless you’re out hunting on the fresh dry skippy. *I am an Amazon Associate. I will receive a portion of any completed transactions completed through the links above. This entry was posted in Society and tagged Bruno Mars, fresh prince of bel air, mark Ronson, music video, peanut butter, Skippy, smoother than a fresh jar of Skippy, uptown funk by Ben Wilder. Bookmark the permalink. I thought it was “fresh dry skippy”. Skippy is a cheap drink made with beer, vodka, and lemonade. Though I can totally see the skippy creamy peanut butter thing too. Also if you search lyrics it says fresh dry skippy. I guess I am confused. A fresh dry skippy is a clean pair of boxer shorts. Just bought the sheet music. According to Sony Music Publishing, it’s “fresh dry skippy.” Maybe they originally meant the drink mentioned above. 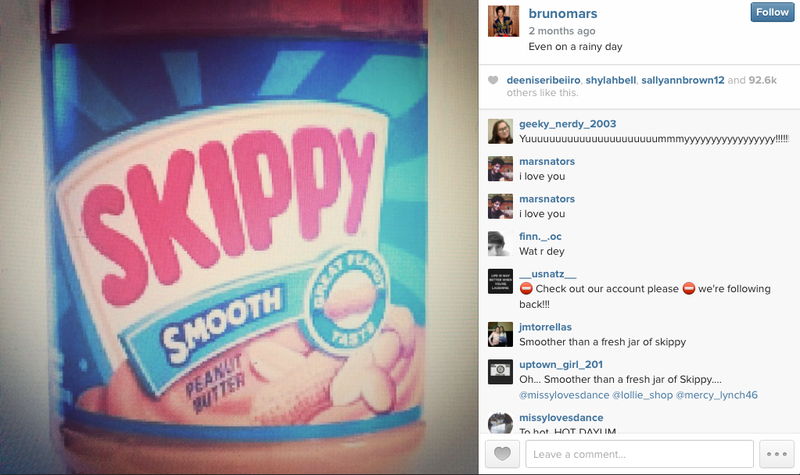 But with all the chatter about a jar of Skippy and Bruno posting the photo, guess they’re having fun with us. In any event, it’s a catchy lyric! 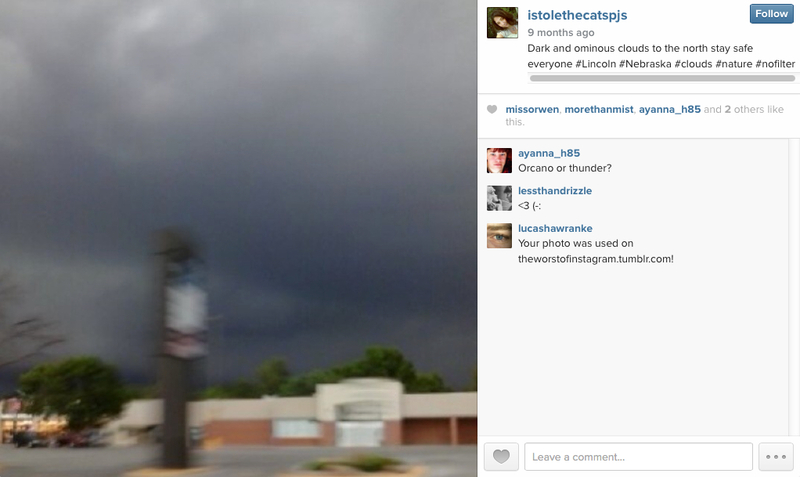 Hard to argue against that…thanks for the insight! I may just be hard-headed but I still think it’s “jar of Skippy.” I listened to it again today over and over and it sounds like he’s saying “ah” instead of “eye” (“jar” vs “dry”). So I say let your kids keep singing about peanut butter!! It’s smooth! To then reference “skippy” fits, since he’s already talking about pouring a drink. I’ve seen it both ways. I think others nailed it, they’re just having fun with this! The CD sleeve of the official CD clearly states – smoother than a fresh jar of Skippy. The capitalisation of Skippy would suggest the brand of peanut butter. Isn’t ‘jar’ urban slang for cup? So it could literally be a jar of peanut butter or it could be a drink in a cup! Clever lyric whatever the answer. It’s fresh “drawn” Skippy made with fresh drawn kegger beer and fresh lemonade along with the vodka or gin makes a smooth and palatable refreshing summer beach/barbecue drink made with readily available summer party ingredients. If you look closely at Bruno’s mouth when he sings this part of the lyrics, he’s almost surely saying the word “drawn” instead of “dry”. Really, if we just asked Bruno Mars, he’d tell us……….. anoyone got his number? lol?? Since Bruno Mars makes the comments ” Stop and then pouring alcohol into his glass in the song it only makes sense that he is referring to a drink. The drink known as a “Skippy” fits since it is made with fresh Lemons and then Ice then blend it and add the Vodka and last the Beer. So that explains the “Fresh drawn Skippy” comment in the song. “Smoother than a fresh drawn Skippy.” Especially since there are references to how “Hot” it is……So it is definitely the drink and not the peanut butter!! End of story. It seems as though quite a few people share your opinion. Thanks for the response! Ok so….I don’t decipher lyrics very well. My version works great. Smoother than a ” fat dog named Skippy”! I thought a skippy was a condom . Haha could be! I’m still not 100% on what the lyrics are.